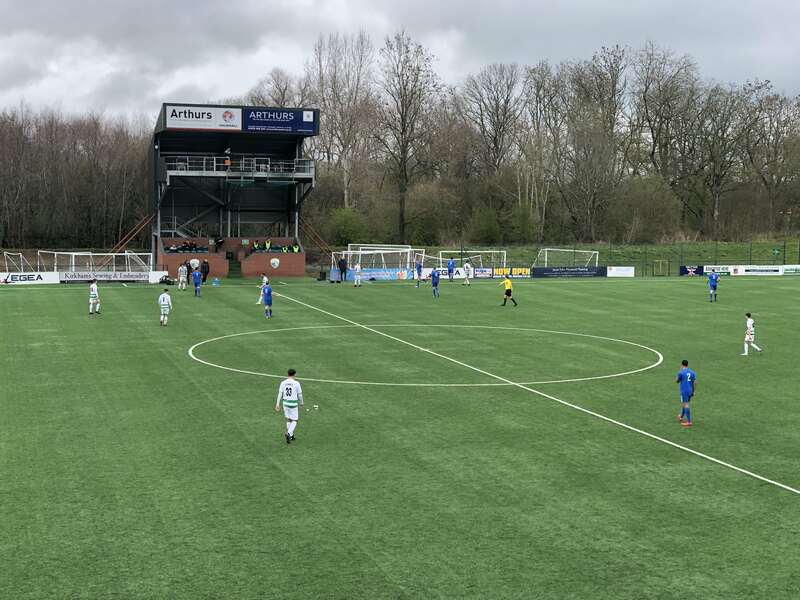 The New Saints’ Performance Phase suffered defeat in their bid to reach the final of the ECFA Category 1 National Cup, as they lost 3-0 to SGS College in the semi-final at Park Hall Stadium. An evenly contested first-half saw the team go in level at the break, but the higher ranked side made their superiority count in the second. A brace from George Neill, alongside a Jay Murray strike, was enough to see off a TNS side who had a penalty saved with 12 minutes to go. It was a good start from TNS and CJ Craven showed good vision as he played Harry Bower in down the left with eight minutes on the clock. The midfielder made his run slightly too early though and the offside flag was raised. Moments later, the visitors should’ve been ahead. Michael Ilea found space at the back post following a corner, but could only divert his free header over the crossbar. With Saints again under pressure, Lewis Dutton was called into action for the first time in the match. After the ball had found its way to George Neill in the middle of the area, a good, close-range save from the goalkeeper kept the scores level. At the other end, Craven was involved once more. A cross from the left could only be parried into the direction of the TNS midfielder by away goalkeeper Archie Watts, but good pressure from the visitors forced Craven to take a touch and the ball was scrambled clear. That was enough to see the sides though to the interval and they went back into the dressing rooms goalless. The first chance of the second period fell the way of SGS College, as good link-up play on the edge of the penalty area between James Okell and Luke Spokes have the latter a chance to shoot. He failed to keep his effort on target though and it went well wide of the post. Just two minutes later however, the visitors did take the lead. After being spotted in space in the penalty area, George Neill was picked out with a good ball and he made no mistake in finishing well to Dutton’s bottom left to open the scoring. 1-0. And it didn’t take long for SGS to double their lead. A left-sided cross by Mihai Nitu picked out Jay Murray in the middle. Murray brought a great save from Dutton, who tipped an effort onto the woodwork, but was unfortunate with the rebound as it dropped at the feet of the SGS striker to bundle home. Buoyed by their two goal lead, SGS continued to push forward. Neill struck the post, while a goal was disallowed for offside, but it was TNS who has the best chance to grab the next goal. After Bower had been sent racing through down the right, a clumsy challenge from the SGS defender saw the referee point to the penalty spot. Liam Parry stepped up, looking to reduce the deficit, but his penalty was saved by Watts. With just three minutes to go, the side from Bristol made sure of their place in the final. Neill rounded off a free-flowing move to score his second goal of the game, wrapping up the win for his side.